Agrippina partook of many wreaths. On the twenty-third Agrippina died from her wounds. 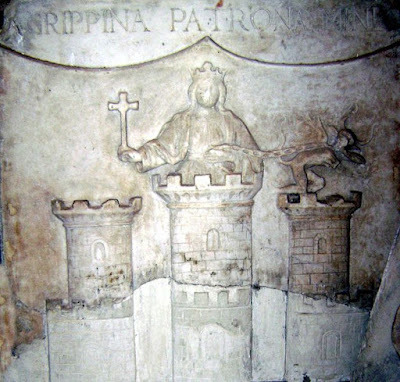 Saint Agrippina was born in the glorious city of Rome and flourished probably during the reign of Emperor Valerian (253-260). When she was a young girl, she dedicated her life to God and was adorned with virginity and purity. Out of love for her Bridegroom Christ, she presented herself before the court during a time of persecution against Christians, and bravely confessed that Christ was the true God. For this she was given over to many torments. When she was punched in the mouth, she crushed the invisible bones of impiety. When she was stripped naked of her garments, she showed forth the nakedness of the devil. When she was bound and twisted, she dissolved the delusions of the pagans. At one point an angel of the Lord descended and healed her wounds. Finally, during her horrible tortures, she delivered her soul to the hands of God, and received from Him the crown of the contest. 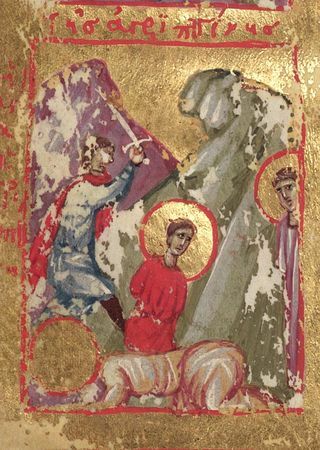 Three Christian women named Bassa, Paula and Agathoniki secretly took the body of the Holy Martyr and with much labor brought it to Sicily by sea. While treasured there, Saint Agrippina's holy relics helped liberate Sicily from the darkness of idolatry through her numerous miracles. 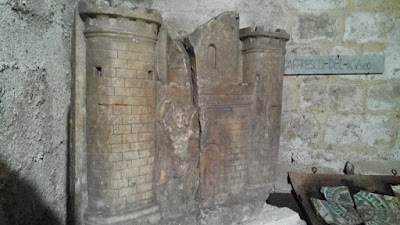 At first the holy relics remained in a grotto at Contrada Lamia (called today the Cave of Saint Agrippina). 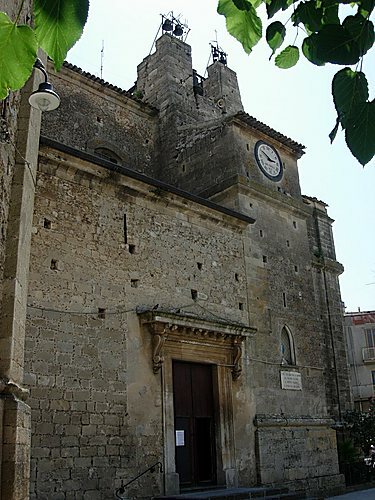 Later, on 17 May 263, it was brought to Mineo in the center of Sicily. Some say a church was built in her honor there in the fourth century, while others say it was not until the eighth century. Her tomb became a popular pilgrimage destination, and she was invoked as a patron saint against evil spirits, leprosy, thunderstorms, sea storms, bacteria diseases and bacterial infections. There is a mention about a siege of the city by the Saracens, but Saint Agrippina appeared before them and saved the city from the siege. 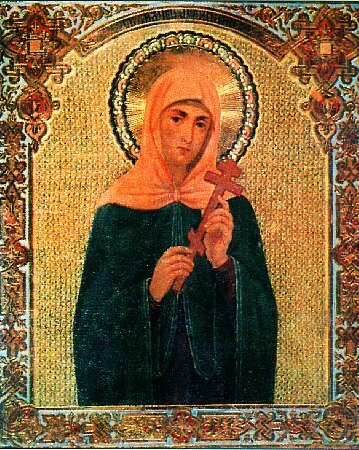 In either the ninth or the eleventh century the relics of the holy Martyr Agrippina were transferred to Constantinople. For this reason she became more venerated in the Orthodox Church rather than the Catholic Church. There are two Catholic Churches however named after Saint Agrippina: one church called the Church of Saint Agrippina is located in Mineo, Sicily and the other church the Chapel of Saint Agrippina di Mineo is located in the North End of Boston, Massachusetts built by emigrants from Sicily. 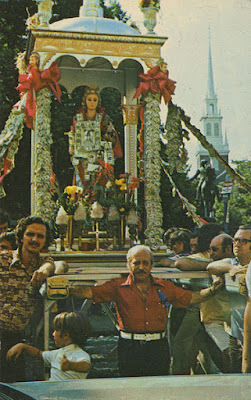 She is a patron of both cities, and since 1914 there is a special procession with a statue of Saint Agrippina carried by twenty men through the streets of the North End on the last Sunday of August. And her faith, firmer than a rock. As a pillar of blood, stood before judgment. An angel descended, the wounds healed! The soul departed, the body remained. And a protection from the battlesome hoards. May many miseries pass us by. Strengthened by the Holy Spirit thou didst excel in contest, O Agrippina fragrant with virginity. 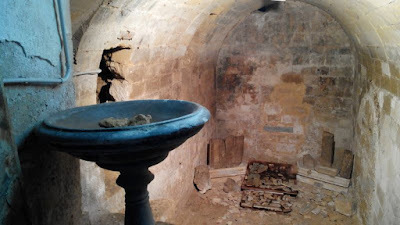 Glorified by Christ's grace thou didst water the world with miracles. O glorious Martyr, pray to Christ our God to grant us His great mercy. 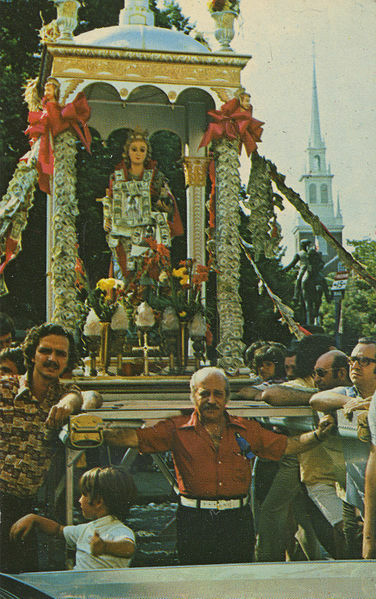 The radiant day of thy contest has come on which the Church celebrates thy martyrdom. 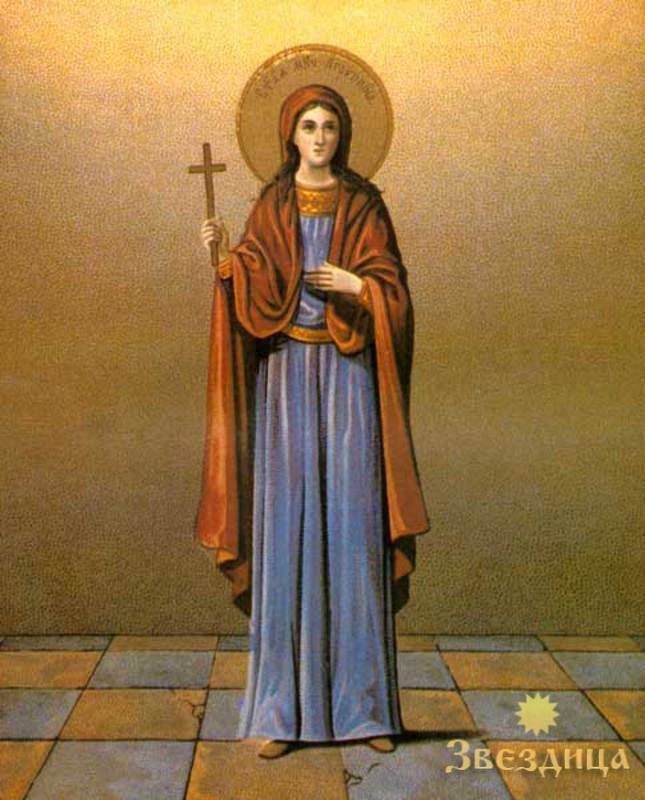 She calls on all to cry gladly to thee: Rejoice, O Virgin Martyr Agrippina.